I brought another adult and 2 kids and it was amazing! Awesome place. So much fun, and friendly staff! Went to Rock Spot Climbing in Providence and tried climbing for the first time. It was a friendly environment with lots of fun mental and physical challenges. Such a great time! Thank you for the memories:)! Very friendly staff and great facility! So sore from going on Saturday! Absolutely fantastic. The staff is inviting and the place was very well kept. My first time indoor climbing and certainly not the last one. What a great idea! I’ve been meaning to try rock climbing and until I received this gift I didn’t realize there was a place literally around the corner from me! I’ll defintly be going back and will continue to go to improv as well. Win all around! Tim one of the owners was fabulous! Guided us through every step, great personality. Facilities were clean, staff on had were helpful. Recommend! I really enjoyed my experience here! The staff was very helpful and friendly, the facility was awesome and the climbing was super fun! I would definitely recommend this to a friend. Love Rock Spot. Would like to get a class package when my schedule calms down a bit. Rockspot is a really fun gym that has an awesome climbing community. I would definitely recommend it to a friend (it's not letting me select "5" below). Fantastic afternoon spent at Rock Spot! Im glad Nift gave me this opportunity to discover a hidden passion that I never realized I had. Will definitely be coming back in the future as I had such a great experience! Had a great time. Great bouldering and helpful staff! The staff was so incredibly helpful and friendly! Ive never met people who were so happy while working! Rock Spot is really great for bouldering! Nice space, nice equipment and really nice atmosphere! 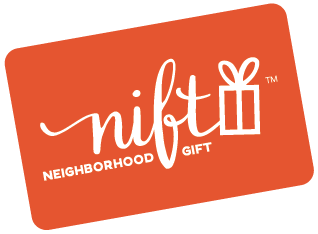 Thanks for the nift gift! I brought 5 friends with me and we had a great time. I have always wanted to try this and will definitely return. Friendly staff, easy to get started. I had a great time at Rock Spot. They staff were very friendly and knowledgable. Everyone was really helpful and its was a fun activity to do with friends. Will be back! This was a wonderful opportunity! So fun and the staff were incredibly helpful. The experience was great! I enjoyed climbing with friends. Such a neat concept and a great establishment to have close by. Really fun and staff is super friendly. I love climbing here! It's huge. Great spot! Really enjoyable would recommend to check it out. great for families and friends. Great bouldering gym! Fun to try a new spot. Great staff support. Very fun place! FYI - attended the Dedham/Boston location. I went to the Rock Spot Climbing gym in Dedham/Hyde Park and it was awesome! Jackson was super friendly and helpful and made what could have been an intimidating first climb, super fun! I'm a big fan of rock climbing and rock spot is a great place with great service and good walls! Easy to use the gift certificate. Great rock climbing gym, had a ton of auto-belays and great spots to boulder. Orientation was quick and thorough, enabling us to get onto the walls and start climbing. It was the first time I've used an auto belay; it's a great option to have! Great climbing options! Thanks!